ST. GEORGE — St. George Police have forwarded evidence to a federal agency as part of the investigation into whether someone deliberately set the fire early Saturday morning that destroyed a nearly-completed LDS stake center. The Bureau of Alcohol, Tobacco, Firearms and Explosives is testing the evidence to determine if an accelerant was used in the fire that burned through The Church of Jesus Christ of Latter-day Saints chapel at 453 S. 300 East, according to a press release Tuesday from the St. George Police Department. It could take up to two weeks to receive the results. The St. George Police also posted Tuesday on Facebook that they were searching for the occupants of a vehicle spotted on security camera footage in the same area where the fire took place. Shortly after posting the video and request for information, the department reported the occupants in the vehicle had been located, but did not go into further detail. The fire, which ignited around 1:15 a.m. Saturday, drew crews from the St. George, Santa Clara-Ivins and Washington City fire departments. The fire started on the outside of the southeast corner of the building. As seen on a time-lapse video taken from a camera set up across the street, the fire started on the side of the building and shot up toward the roof. 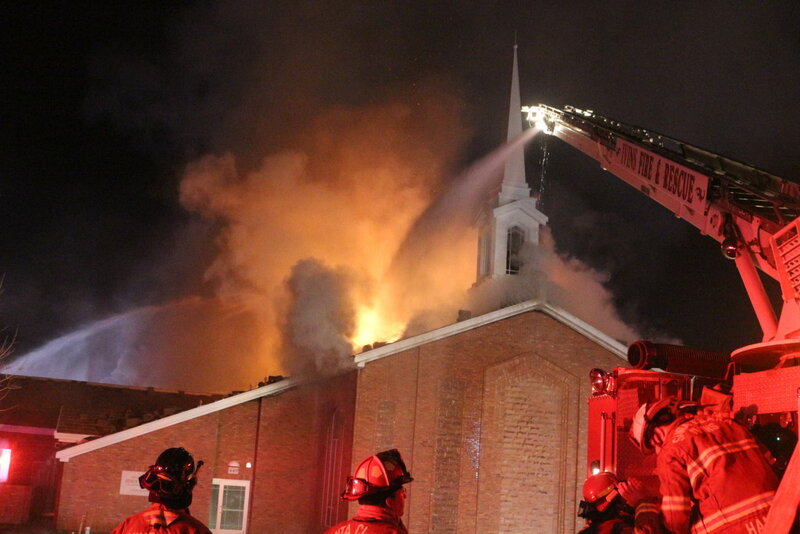 From there, the fire devoured the southern end of the church and moved west as it consumed the roof and gutted the interior. The fire eventually died down around 4 a.m. with the St. George Fire Department on scene the rest of the day as crews dealt with lingering patches of fire that produced smoke into the afternoon. The Utah State Fire Marshal and ATF became involved in the investigation. The nearly-complete stake center was to serve as the center of the LDS St. George East Stake. A stake is a geographical unit within the LDS church that is made up of multiple congregations called wards. 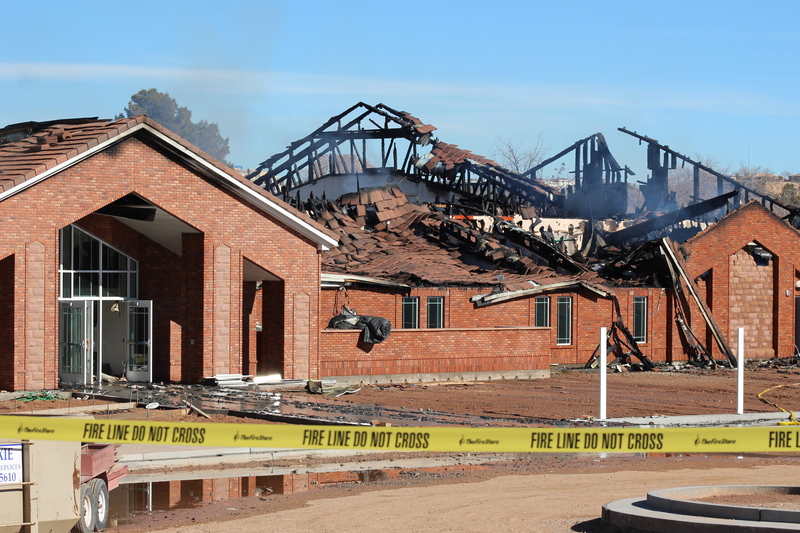 Following the fire, leaders of the LDS St. George East Stake sent an email to stake members saying the center was two or three months away from completion when the fire struck. They anticipate rebuilding the church, which could take up to two years. Anyone who may have information regarding the fire or may have seen any suspicious activity in the area is asked to call the St. George Police Department at 435-627-4338. Editor’s note: This report has been corrected to reflect that all occupants in the vehicle seen near the scene of the fire have been identified by police.